Not all of us are natural gardeners, or have the time to be! That doesn’t mean however that you can’t enjoy your outside space. 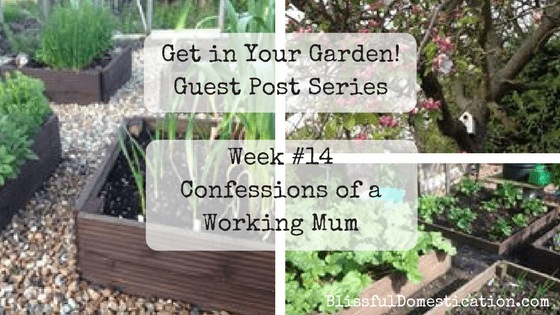 This week’s post is all about how this working mum and her family enjoy their garden. This week’s guest post is written by Kat, a busy working mum of one who blogs over at Confessions of a Working Mum. Hi I’m Kat, a thirty something first time mum to a beautiful little girl. I blog about being a working mum and our family’s quest to find a decent work/life balance. We’ve not found the answers yet (has anybody?) but are muddling through as best we can. My blog is mostly about how tired I am and how much I love wine. 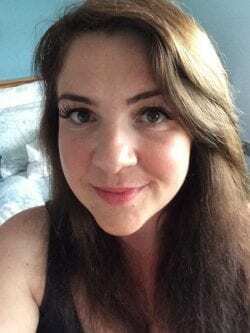 I do throw in the odd bit of well meaning advice delivered with a big dash of humour because you definitely need a sense of humour to get through this parenting lark! So I’m not naturally green fingered (I can just about identify a dandelion over a daffodil) and, as my fiancé and I both work full time, we don’t have a lot of time to spend maintaining or growing things in our garden. It’s not a massive space and the majority of it is covered in paving so we try to make the most of it as a play space for our little girl who is 18 months now and needs A LOT of entertaining (as I’m sure most parents of toddlers can identify with!). We hold mini festivals, complete with pop up lady bird tent, music, bubble machine and wind socks in the tree. 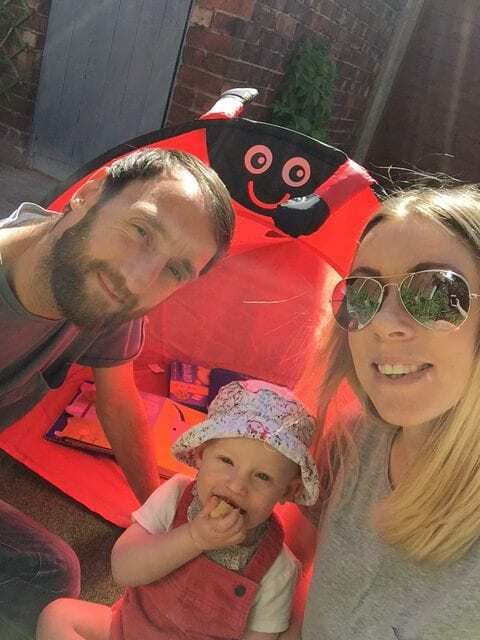 It’s so much fun and fab for our little girl to chase the bubbles, have a dance and eat snacks in the tent. We have outdoor mats that you piece together like a jigsaw puzzle so we put that down on the paving under the tent to make it comfortable to sit in. You get all the fun of a festival without the rain or mud – although my little one usually insists on wearing her wellies. On sunny days we bring out the paddling pool shaped like a giant toadstool which sadly is not big enough for me to get in! Another of our favourite activities is looking for ‘animals.’ We hunt for tigers and bears but mainly uncover woodlice, spiders and bees. I’m usually directed around the garden and put on a brave face (I hate spiders!) while I look under plants and stones for creatures. She likes to look over my shoulder squealing and pointing at whatever we find and has recently started making buzzing noises when we see a bee which is double cute. We also like to watch the birds taking a bath in next door’s guttering and sometimes get splashed if we stand underneath it. We tried leaving nuts out to attract more birds last year but they didn’t seem very interested. Perhaps we should leave something a bit more exciting for them to nibble on. 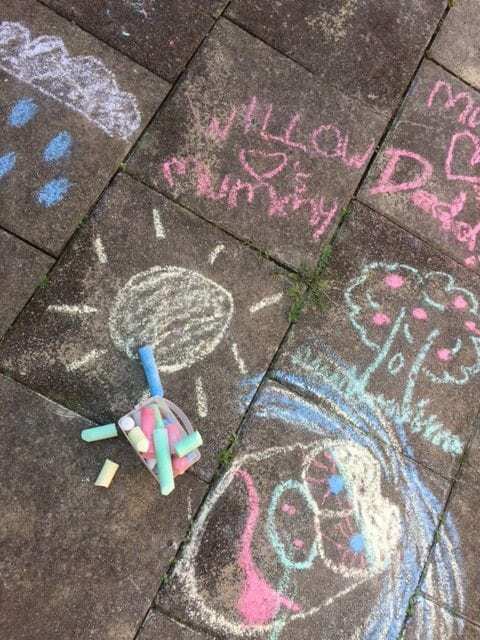 Chalk drawings are also fun on the paving. We let her get creative and then the rain (or daddy) washes them away for us so we can start all over again the next day. For us it’s about making the most of the space we have. I’d love to hear about what you do to get in your garden and hopefully get some new ideas for family activities! 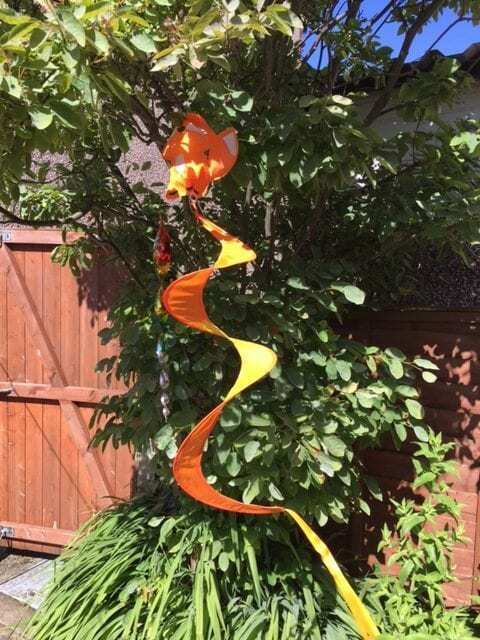 Thanks Kat, I love the idea of having a mini festival in the garden! If you have enjoyed reading this then you can also find Kat on Twitter, Instagram, Facebook and Pinterest or why not pop over to her blog.